A little bit of me: Health and Fitness - She’s pregnant and exercising! Health and Fitness - She’s pregnant and exercising! I have heard of those super ladies who train when pregnant. I looked in owe at the pictures of the model Sarah Stage who had her packs showing at her 9th month of pregnancy. But I thought only models and professional athletes did it! Everything still sounded so unreal when I first saw live, in front of me at the gym, a lady training with Jeff* during her pregnancy. Looking as fresh as a university student, you could not tell she was pregnant without examining her from side and seeing her not-so-generous baby belly. Healthy and all fresh. This is all I could think about when I first met her… oh, and she was REAL! But was it safe to exercise during pregnancy? Doctors, researchers and trainers all agree that unless the pregnant woman is suffering from a major/serious pregnancy related issue, exercising during pregnancy is 100% safe. By exercising we mean everything that does not include receiving punches on the belly area. So put your boxing gloves aside pregnant ladies and start searching for your alternative physical activity! 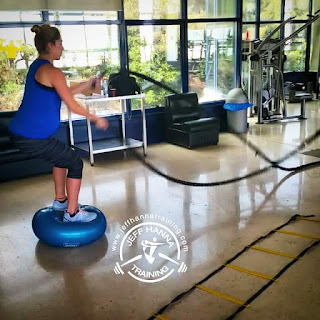 Pro-tip #1: avoid all exercises that include body to body contact such as football, softball, volleyball, basketball or similar, as well as any exercise that might include falling violently such as horseback riding. If you already train and are experiencing a normal/healthy pregnancy, everyone (doctors, researchers and trainers) agree that you can proceed with your regular routine for as long as you can, ideally up through the first week of the 9th month of pregnancy! On a side note, trainers would not recommend the supine position (laying down) but woud definitely give you an alternative for all those exercises you need to do in lying position! Pro-tip #2: monitor your heart rate not to exceed 140 beats a minute (except if you are originally an athlete then you can train normally under the supervision and monitoring of your trainer! - lucky you). 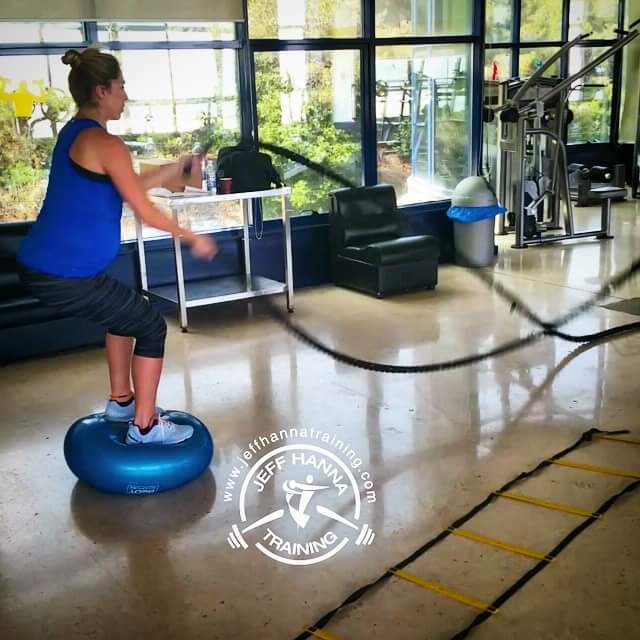 Now, if you do not train at the moment you get pregnant but used to train in the past, you can pick-up your old habits gradually and start training again. Finally, if you are lazy and have never trained before, or if you are scared to engage into a new training activity at the time you find out you are pregnant, you can always start walking and swimming; those two exercises are considered 100% safe to almost all pregnancies, including a large part of complicated pregnancy cases (however, if you are facing a complicated pregnancy you should always share your activities with your doctors). Now why do women exercise during pregnancy? Other than for maintaining their line and limiting their weight gain, exercising during pregnancy is of several benefits. Exercising during pregnancy improves posture, reduces back pain, discomfort and fatigue. Also, exercising during pregnancy reduces the risk of gestational diabetes and facilitates natural delivery. For the safest pregnancy training? It is important to listen to your body, follow its pace and train safely especially for all exercises that have high intensity on the core (abdomen area). For the best and safest results, train with a Personal Trainer; I personally already pre-booked Jeff in case I get married and decide to have a baby one day! Pro-tip #3: wear a lose exercising outfit and keep yourself hydrated and safe!